Welcome to this beautiful villa located in Campos. It offers all the comfort to make your vacation unforgettable. Urgemütliche 8Personen- Finca, spacious bright rooms, 12m pool on 14000m² of land with mature trees in a quiet secluded location and great views. 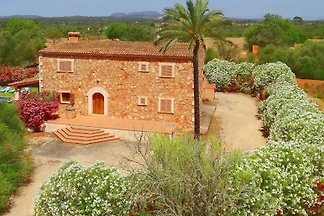 Welcome to this charming villa on the outskirts of Campos. It accommodates 10 people + 2 extras. 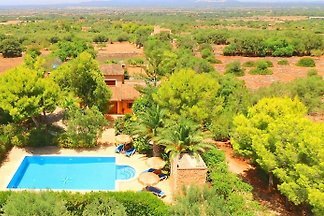 Fantastic typically Mallorcan cottage, located in a really quiet and rural area on the outskirts of Campos. 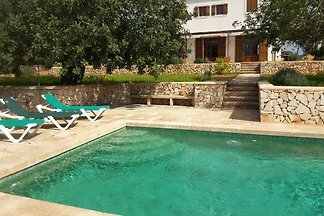 Fantastic Mallorcan stone house, with private pool, located close to the town of Campos, where 6 people can enjoy the charm of island inland. 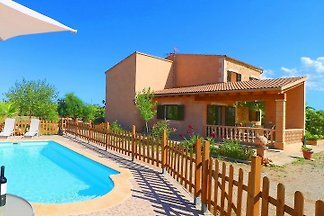 Welcome to this beautiful house for 8 people, situated on the outskirts of Campos. Welcome to this beautiful house on the outskirts of Campos. It sleeps 8 people. 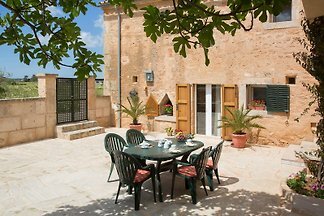 This is a wonderful countryside house with traditional Majorcan architecture and capacity for 20 people. It has 7 bedrooms, 6 bathrooms, an awesome pool and fantastic outdoors. This is a fantastic house with pool near Campos. It has capacity for 8 people, which is ideal for families or groups of friends. from 5 4 holiday homes & accommodations in Campos were rated with an average of 4.9 out of 5 stars ! Rent successfully your holiday flat or holiday home in Campos in only 20 minutes !